Singer/songwriter and Rochester native Rebecca Correia has had many things to be excited about in the five years she’s been splitting her time between her hometown and Nashville. She’s performed countless performances in the clubs of America’s country music capital. 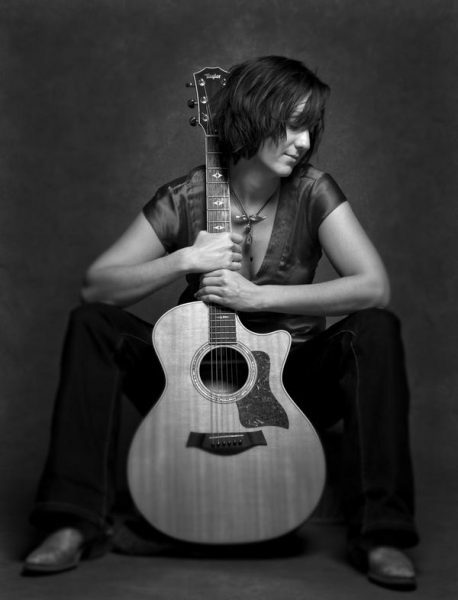 She’s opened for major acts like Natasha Bedingfield, Shawn Colvin, Beth Nielsen-Chapman and Livingston Taylor. She’s co-written a song with three-time Grammy Award-winning blues artist Keb’ Mo’. And she’s even crossed paths with superstar Taylor Swift while jogging the streets of Nashville. But it’s Correia’s sold-out show tonight at New Bedford’s Zeiterion Performing Arts Center that has the 31-year-old singer particularly excited. She’ll be performing as part of the theater’s “Stage Door Live” series, where performers and up to 125 audience members share the Z’s stage, which is transformed into an intimate concert club with tables, chairs, couches and a full bar. Scheduled to accompany her at the Z are the husband-wife team of cellist Jenny Lynn and guitarist Reggie Young, two of Nashville’s most highly regarded session musicians. The ability to make such professional music biz connections was part of the reason Correia decided to give Nashville a shot five years ago, despite the fact that her own music has more in common with a pop artist like Sheryl Crow than country’s Carrie Underwood. Though she misses the ocean when she’s in Tennessee, Correia has found much to love about Nashville. A full-time musician, Correia says she’s been fortunate to work out a situation where she can bounce between Nashville and New England fairly easily. In the meantime, when she’s not playing gigs and collaborating with Nashville songwriters, she’s working on her sixth CD, “Each and Every Detail,” and is “closing in on the finish line” as far as recording goes. In an age where the Internet has turned many a music career upside-down, Correia says she is up for the challenges this new era in the business has to offer. Despite the question marks a long-term career in music might pose, Correia is thrilled to have made the most of the opportunities that have landed her way. Rebecca Correia’s Nov. 1 show at the Zeiterion Theater is sold out, but you can sample her music and find other performance dates via her website, www.rebeccacorreia.com.